Top 5 List: Getting ready for an expedition! 1) Identify your purpose: To start at the very beginning, you have to have an idea or goal or objective to motivate the expedition/adventure/trip. Laura, Courtney and I are in Greenland to help get things organized for the IGERT summer field seminar , when the new cohort of IGERT fellows will be taking to the field. Yet, the fun doesn’t end there because each of us has our own personal goals to the trip. I am investigating how temperature affects soil carbon storage. To do this, I will dig soil pits and collect lots and lots of soil samples to bring back to Hanover for analysis. Courtney is assisting me in my research and using her experience in photography and interest in photojournalism to explore the area and culture of Kangerlussuaq, including the researchers and scientific community. Each of us will also have the chance to explain our research to Greenlandic, Danish and American high school students who are participating in a local summer science education program. 2) Plan, scheme and strategize: This is a tough one to check off the list, because it is more of an evolving cycle than a single step. In this process we hope to find a creative and realistic way to achieve our purpose. I started planning for this trip last November, when I wrote and submitted a research proposal. Since then I have reworked and refined the plan numerous times. 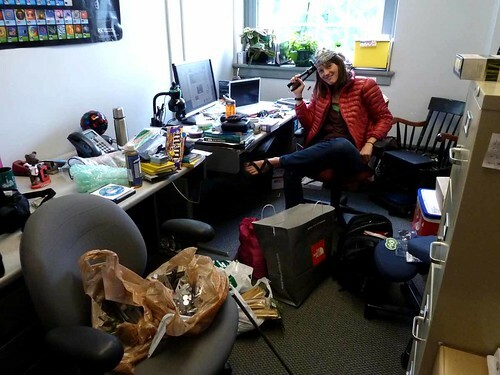 Courtney came on board a little over a month ago to help with prepping and packing. We will be in Kangerlussuaq for a total of 6 weeks, and our plan is to spend 5-6 days stints doing fieldwork and camping out in the field. 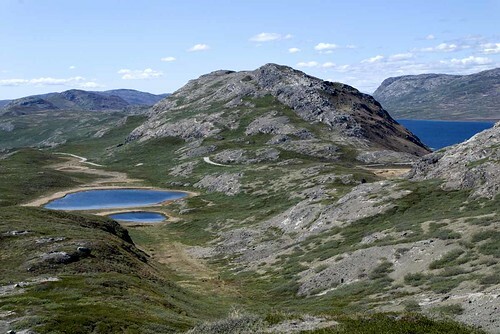 In between we will come back to the research base, the Kangerlussuaq International Science Station (nicknamed “KISS”), where we will recharge our batteries, check email, eat pizza and shower, in that order. 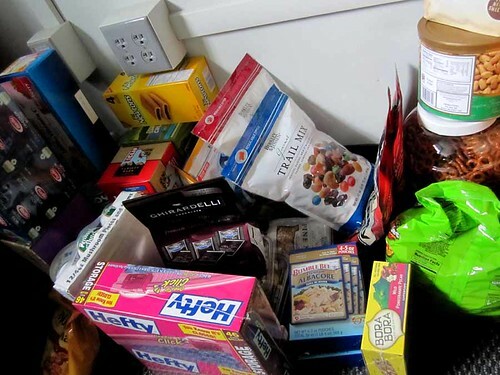 3) Food: Since we will be camping for 40 days we have spent a lot of time thinking about food. There is a grocery store in Kangerlussuaq, in case we have forgotten any of the essentials, but we have brought most of the supplies with us. There is nothing gourmet about camp food, but you can be sure that everything tastes 10 times better after a long day of digging soil pits! Our camp food menu consists of hot cereal and dried fruit for breakfast, peanut butter or tuna/sausage and cheese with Wasa crackers and trail mix for lunch, lots of morale boosting granola bars and chocolate throughout, and delicacies such as Gado-gado (a thai-styled peanut sauce with noodles) and bean burritos for dinner. 4) Travel logistics: You can’t have an adventure if you don’t get yourself there. As for our adventure, the Arctic is becoming more accessible, but there are no direct commercial flights from the U.S. to Greenland. The IGERT program, however, is funded by the National Science Foundation, which works with a logistics contractor and the 109th Air National Guard Unit to support to a substantial amount research in Greenland. 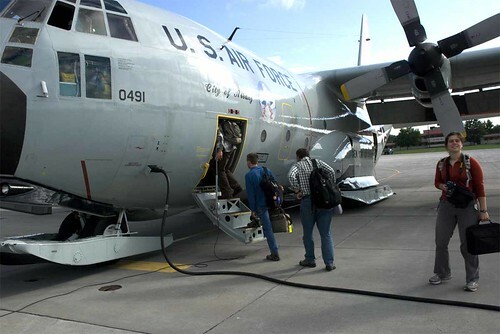 The 109th Air National Guard Unit flies researchers from the air base near Schenectady, NY directly to Greenland. 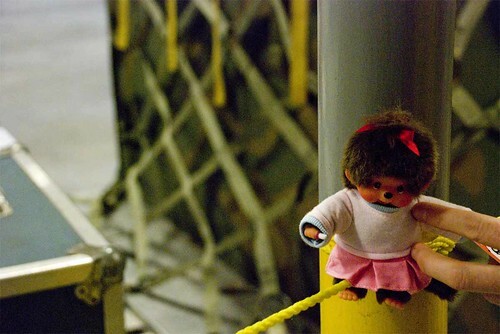 The wonderful logistics support folks lead us through the ropes. 5) Inspiration: Digging in the dirt is quite inspiring for some of us, but just to be sure we keep that motivation high, we are bringing along some essential items such as books, yoga mats, playing cards, bright colored clothing and our little friend Monchichi. So here we are, moving on to the next phase of the project, where our planning thus far gets put to test. While it is a notable transition, there are some parallels between what we have done and what we have in store. Afterall, the inevitable unexpected complications are sure to require a lot of scheming and strategizing. I know you three will ROCK Kanger!! Great Top 5. You are already doing #6. Share your work and enjoy all the great people along the way. Nice photos! Is that some of Courtney’s work? The one of Vulgaris Valley is my favorite. Didn’t I see you packing Starbursts, too?